From Goodreads: "Violet Ambrose is grappling with two major issues: Jay Heaton and her morbid secret ability. While the sixteen-year-old is confused by her new feelings for her best friend since childhood, she is more disturbed by her "power" to sense dead bodies—or at least those that have been murdered. Since she was a little girl, she has felt the echoes that the dead leave behind in the world... and the imprints that attach to their killers. Despite his fierce protectiveness over her, Jay reluctantly agrees to help Violet on her quest to find the murderer—and Violet is unnerved to find herself hoping that Jay's intentions are much more than friendly. But even as she's falling intensely in love, Violet is getting closer and closer to discovering a killer... and becoming his prey herself." I was hesitant to read this book, even though it had received many great reviews. I tend to be turned off by dead bodies and murderers in books. I am easily freaked out at night, which is when I usually do most of my reading. So reading books with murderers and dead bodies doesn't do much to ease my mind before sleep! However once I started this book, I couldn't put it down! You would have thought I would realize, since it is a Young Adult book, that it wouldn't be too gruesome or to scary! But no, I avoided this book for a while. When I finally borrowed it from my local library, I was so glad! Violet is a very likeable character, with a secret. She can sense the echo's of dead bodies. She can also sense the echo of the dead body on the person who did it. So essentially she is able to tell who did it, if she knows the echo of the body and comes across the person responsible. Lucky for her, her uncle works on the police force, giving her an in to help the police, without anyone finding out her secret. Jay. What can I say? I loved him as a character. He and Violet have been 'just friends' for most of their lives. Jay knows about Violets 'gift' and is very protective of her. He is always there for her and has liked her as more than a friend for a while now. Jay is a total lady's man, even though he doesn't try to be. This sends Violet into a fit of jealousy, even though, Violet's friends all think that the two of them should be together. Including Jay himself. Things start going horribly wrong, with girls being murdered and the killer still on the loose. Violet is the one who discovers the body and the echo that comes along with it. She tries to help the police to figure out who the killer is. I really enjoyed Kimberly Dertings style of writing and the glimpses we get into the killers mind as he's on the hunt. It really upped the suspense of the book. Before I read this book I was a bit skeptical of the echoes. I didn't understand how the echoes would work and if they would make sense or if they would make the book sound so simple. As in, Violet being able to say who dunnit as simple as that, of course I was wrong and it is more complicated than that. In the end the echoes are what make Violet, Violet and they are what makes this book so good! I thoroughly enjoyed this book and all the components of it. The second book; Desires of the Dead has already been released, and I have already read it (it was awesome!!). I will definitely be following this series and I can't wait for the 3rd book to be released! Thanks for the review, I'd seen this on a few blogs too, and never picked it up...same aversion to dead bodies, lol. @ K R Weinert, You should give it a go when you get the chance! 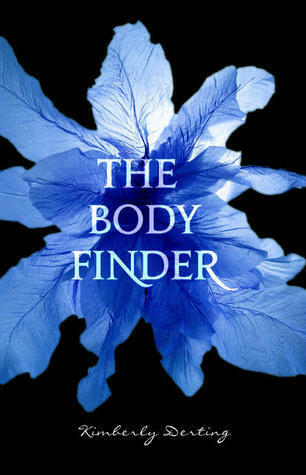 it wasn't to gruesome or descript about the bodies or anything, it was still definitely a YA book! and I agree, by putting off the first book you either don't have to wait, or don't have to wait as long for the following books! Great review Amy! I actually read a few negative reviews (and I man 1 star) so I was kind of put off on it but you make it sound like something I would enjoy!